Reader supports more than 20 popular text and graphic formats, and also contains an expanded set of 44 most popular ABBYY Lingvo dictionaries. 4GB of internal memory and microSD slot will keep even the most extensive library of e-books. The high refresh rate and a powerful processor allow to turn the pages smoothly and quickly. Access to the Internet via built-in Wi-Fi opens wide possibilities not only for reading, but also communication via ReadRate service, while pre-installed Dropbox and Send-to-PocketBook services will synchronize and transfer content to the device without connecting to a PC. E Ink Pearl HD display with a resolution of 1024 x 758 pixels and 212 dpi transmits the images and texts even more contrast and brighter. The screen does not glare in the sun, and the frontlight function allows to enjoy reading, regardless of lighting. Using the device is simple due to the multi-sensory display, as well as an intuitive PocketBook interface. 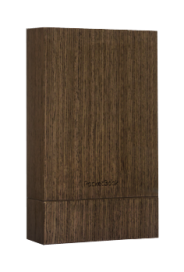 PocketBook Touch Lux (Limited edition) packed in an elegant wooden box would be the best gift for those who appreciate the combination of sophisticated design and proved quality. Additionally, the kit includes a cover made of soft leather which will not only favorably emphasize elegant lines of your new e-reader, but will also reliably protect the device from harmful external influence. 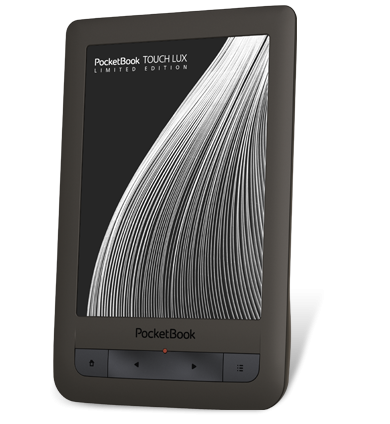 Traditional comfort is now embodied in a unique design, PocketBook Touch Lux (Limited edition) opens a new page in the history of electronic readers and exceeds all expectations. Due to the grace of lines, subtle colors and premium materials the luxury-version of PocketBook Touch Lux emphasizes the elegant taste of its owner.